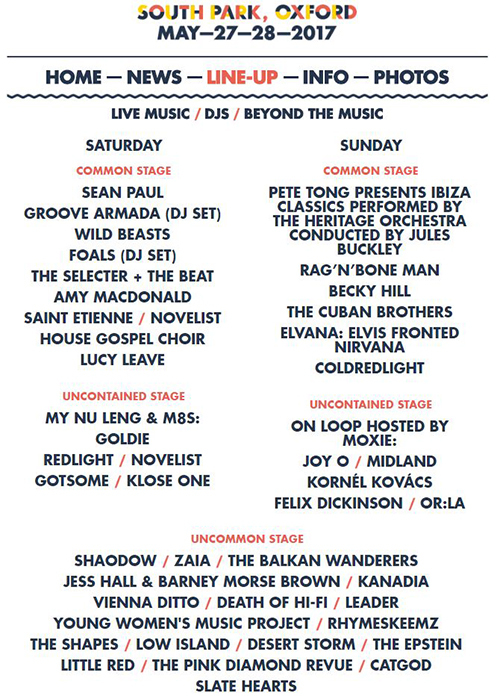 Common People takes place 27-28 May in Southampton and Oxford across two days (with alternating lineups). .
Common People curator Rob da Bank says: “Common People is all about having some proper moments together as friends and family. Our cast this year to make you dance, sing and generally lose your shizzle include none other than recent Number One album artist, Mr Pete Tong, a legend of the dance and Radio 1 for over quarter of a century now, and here with a rare outdoor performance of his orchestral wonder Ibiza Dance Classics.